If you have a Craftsman or Arts and Crafts style home, or a home with shingle siding or shingles on the roof, shingle siding on your garage may be the right choice. Shingle siding typically works best on traditionally designed homes, and there are a variety of different shingle materials to choose from including wood, fiber cement, and vinyl. Shingles also come in a variety of colors and styles, so you can choose one that best compliments your property. Shingles are also relatively affordable as well, with the average shingle siding running anywhere from $6 to $9 per square foot. Horizontal lap siding is a common siding choice perfect for traditional-style and colonial homes, or any home with a simple, symmetrical design. Horizontal lap siding can be finished in a variety of colors, and comes in a variety of materials including vinyl, fiber cement, aluminum, and wood. Horizontal lap siding is also an inexpensive option to choose, with prices ranging from $3 to $7 per square foot depending on the material and finish. Metal is not a common choice for siding, but it can be a nice touch to a garage that has a contemporary aesthetic, or to compliment a modern home. Choices in material include corrugated steel, copper, or aluminum, and most metal siding options far outlast other siding materials. Another benefit of metal siding is that it can be bent and formed to meet any curves, edges, or other shapes in your garage’s structure. The cost of metal siding varies greatly depending on the material you choose. Brick is another frequently used siding option, and this choice requires little to no future maintenance. Brick is durable and comes in a variety of colors and styles, and can be stacked or laid in multiple different patterns, giving you a chance to further customize your garage’s aesthetic. Brick siding complements many homes from traditional to contemporary, but it’s durability ability to be customized comes at a price. Expect to pay anywhere from $11 to $20 per square foot depending on the specific brick you choose. 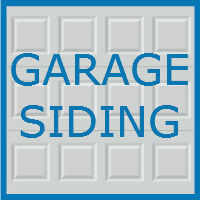 For those looking to add a sophisticated touch to their newly built custom garage, consider stone siding. Stone siding is durable and requires little to no maintenance, and is available in a wide array of colors, sizes, and textures. Some stone options are straight from a quarry, while other cheaper alternatives include man made material that mimics stone. Stone is one of the costlier choices for garage siding, with costs running anywhere from $35 to $50 per square foot installed. Are you ready for the garage of your dreams? Look no further than the experienced team at Blue Sky Builders. We can help you with every step of your garage project, from demolition to construction and installation. 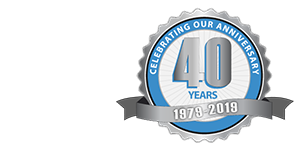 We offer garages in a variety of sizes and styles depending on your needs and desires. Call 630-852-8485 today to learn more, and to set up a time for a free onsite estimate.